Adopting a dog is a big responsibility and I suggest really thinking this over, you did take responsibility for this animal. But sometimes owners have unexpected life changes and find themselves stuck with a dog they are unable to care for from reasons varying from unexpected moves to sudden illness. Having a puppy that chews everything or whining is not a valid reason to give away your dog, or at least before you put the effort into some basic training. You will see a button on top marked ‘training” where you will find all our guides on how to fix specific issues (or just click here). You may also use the search button on the right hand side on the site. 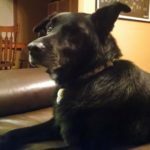 You If you or someone you know finds themselves in a life changing situation, there are several humane actions that can give your dog a new, loving home. It is your responsibility to make sure your dog finds a loving home. First and most importantly, network. Don’t put up signs or pass out fliers and give your dog to someone you know nothing about, but rather contact all the trustworthy people in your life. This includes, but is not limited to, family, friends, neighbors, and coworkers. Ask them if they are able to care for your dog or knows someone who can. Through networking one can find their dog a trustworthy home in the local community. You can even visit your dog every now and then!If you are unable to find someone you know to take care of your dog, don’t panic. Next try searching for non-profit animal shelters in your area. Most of these shelters have a no-kill policy, meaning that they will keep your dog until someone adopts him or her. However, be sure that the shelter is run professionally and that the dogs are given proper room. Beware of animal hoarders, or individual-run shelters that take in animals but do not give them out. The important thing is to not just give away your dog. Who knows where it will end up. Most breeds have dedicated rescues that you should be able to find within 100 miles of your home. I could almost bet they would even come to you to save your dog. After networking and non-profit shelters comes the humane society. The humane society almost always takes in and gives dogs out humanely. However, this comes at a cost. Any dog they are unable to give away in a certain time frame runs the risk of being put to sleep. This allots room to house other rescues. This scenario is not ideal, but gives your dog a lot of a better chance than he or she would have if abandoned. You should only use this option when there are no others. 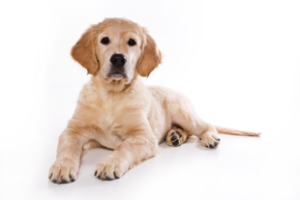 Before you give your dog away, however, you must make sure that you will be unable to fix the problems preventing you from being a responsible dog owner. If a scheduling problem is only temporary, dog boarding services or dog sitters are good options. 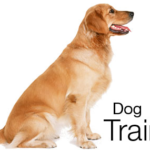 Furthermore, almost any behavioral issue with your dog can be overcome with professional training. Still, the more extreme financial issues and illness are the hardest to overcome, and go hand-in-hand with each other. Dogs tend to miss out the most in these scenarios. 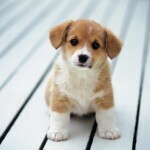 Their owners are no longer able to provide them with the proper care and affection they need. When it comes down to caring for children or caring for a dog, every parent’s responsibility lay with his or her children. Also, un-wealthy owners are unable to care for a dog’s medical needs when local vets do not offer free care, or offer for the owner to pay for the needed care later (emergencies are emergencies, and need to be taken care of though). In such extreme scenarios, one has a legitimate reason to find their dog another home. However, don’t make any rash decisions. Once you give your dog away, chances are you will never have the chance to own him or her again. Make every effort you can to keep your dog. Most behavioral issues will go away with just a little training. You should at least give it months and not days. If nothing works, be responsible and seek out the right home or shelter to give your dog to. Remember, who you give your dog to will affect the rest of his or her life.